The ways we listen to each other and tell each other what we need to know in common is crucial to our parish life. Communication at St. John’s is centered in our church office, where Parish Secretary Patti Means connects members with the clergy and staff, maintains the church calendar, and produces service bulletins and our parish newsletter, The Messenger. 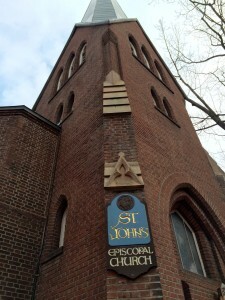 We also share St. John’s news on our website blog and Facebook page, as well as through the media. Would you like us to promote your event? Please use an event form (print or download a PDF or Word form) to send us the details.